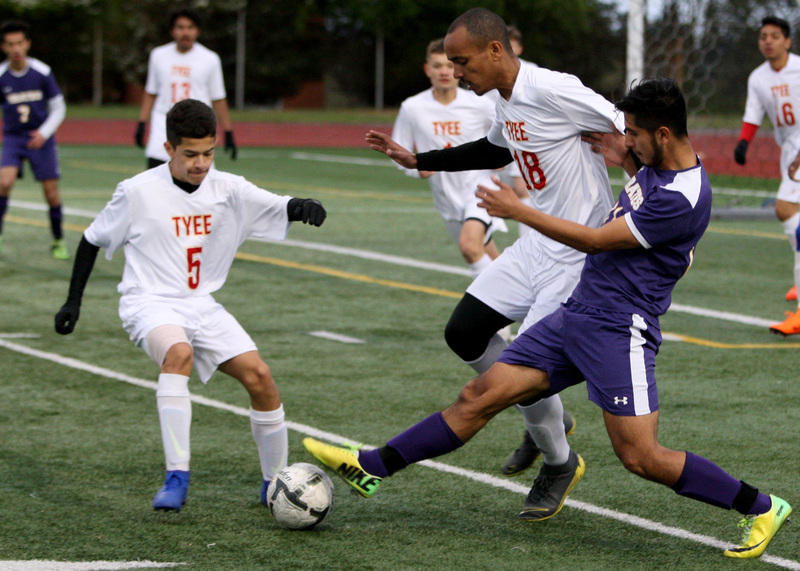 Abubekir Lenty of Tyee heads the ball. They came in all tied in knots and left that way, too. 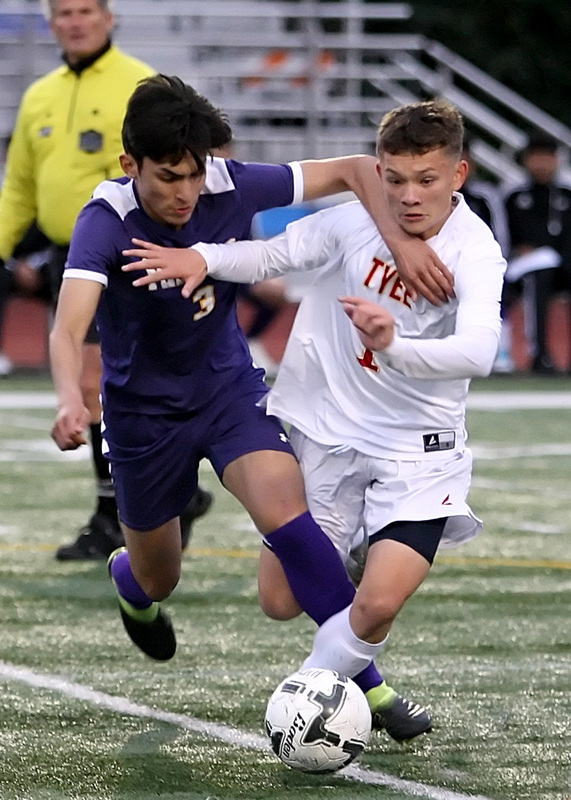 Tyee and Highline battled to a 0-0 tie on the pitch at Highline Memorial Stadium on Wednesday, leaving them tied for first place in the South Puget Sound League North Division boys soccer standings. The two teams are knotted at 5-1-3, barely ahead of the 4-1-4 mark of Foster. If the two teams remain tied at the end of the season, Highline has the tiebreaker by virtue of its early season 3-2 win over the Totems. Foster, meanwhile, was a 4-0 winner over Lindbergh on Wednesday. Highline and Tyee return to action at 7:30 p.m. Tuesday, when the Totems host Renton and the Pirates visit Lindbergh. Foster will have the night off. 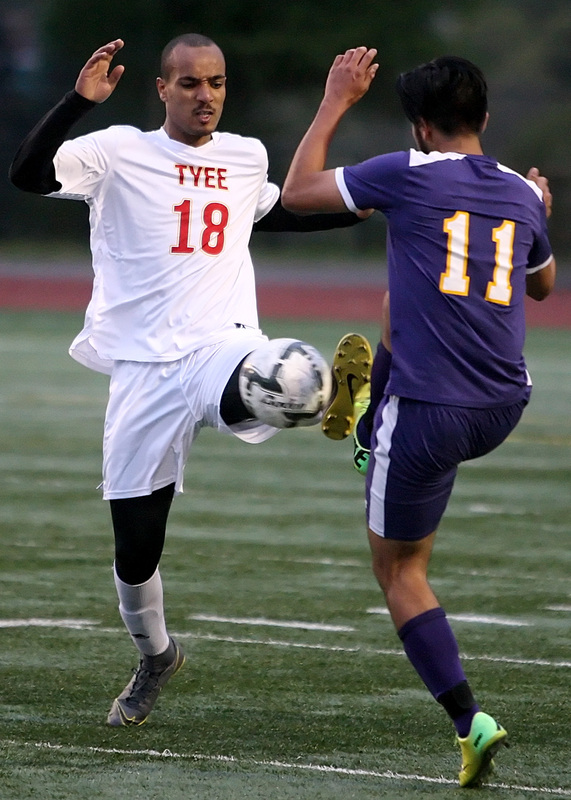 IMG_0734 - Edited 5x7: Diego Camacho of Highline gets his foot to the ball before Tyee's Abubekir Lenty. 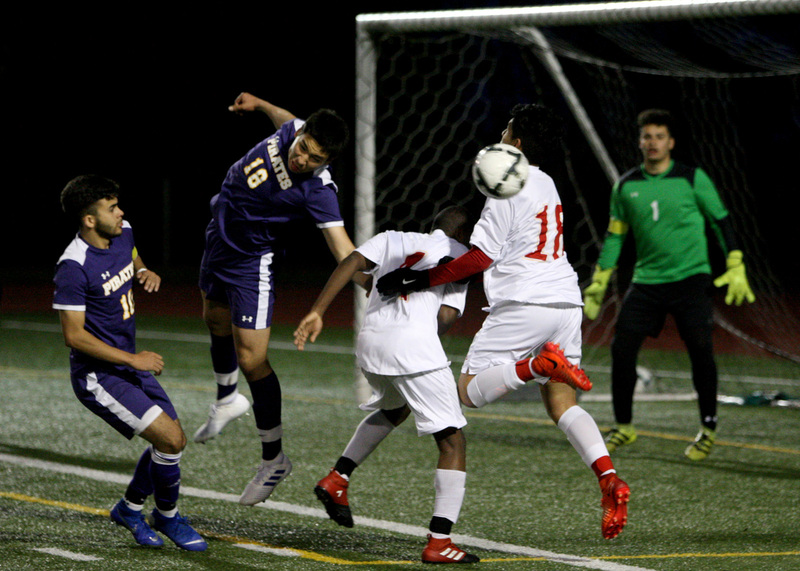 MG_0801 - Edited 5x7: Rogelio Briceno of Highline and Tyee's Josh Ativalu get physical going for the ball. 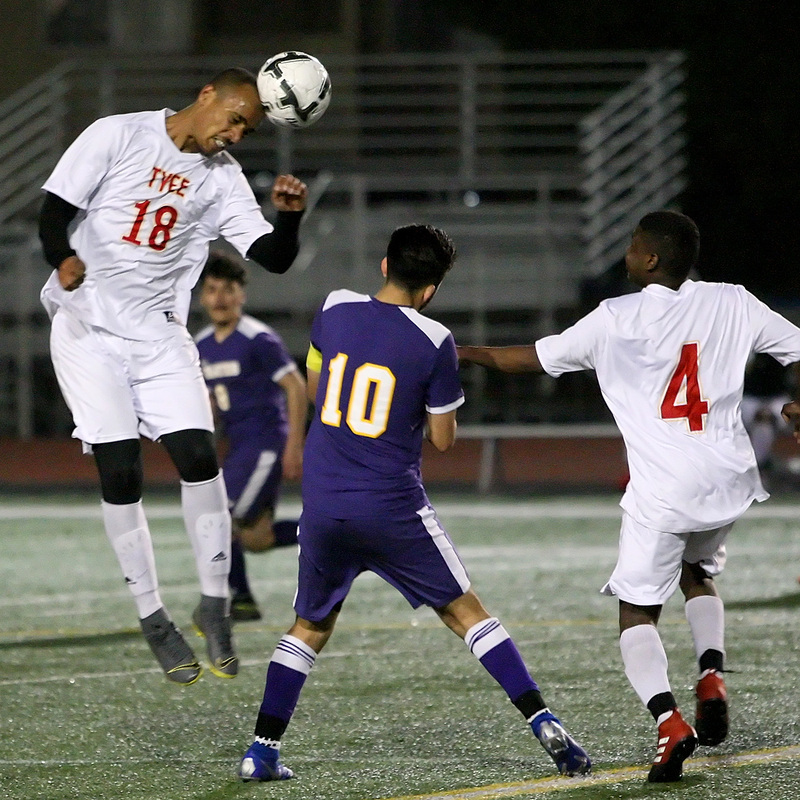 IMG_0990 - Edited 5x7: Abubekir Lenty of Tyee and Highline's Diego Camacho reach for the ball. IMG_1159 - Edited 5x7: Bodies fly going for the ball in front of Highline's goal.